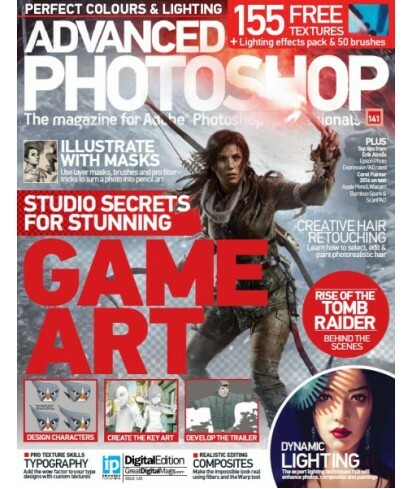 Advanced Photoshop - Philippine distributor of magazines, books, journals, etc. Advanced Photoshop magazine is the perfect magazine for polishing up already great Photoshop skills. Aimed towards Adobe Photoshop professionals and enthusiasts, every issue prides itself on its unbeatable quality and sophisticated content. Every month you can have the chance to develop your techniques through several creative and challenging Masterclass and Workshop tutorials. Our intention is to give you the chance to learn new tricks and fine-tune your skills. Whether you're a design student, an enthusiast who is considering going into the design industry full-time, or an established pro, we guarantee that there will always be something new to get your teeth into. As Advanced Photoshop is written for those who already have a lot of experience in Photoshop, we never dumb down the tutorials, always getting straight into the business of creating superb imagery without wasting time on the simple techniques you already know. Every month includes many different techniques and styles so you can be sure to find something that grabs your interest.